In 1997, the Defense Department began its quest for the perfect family of radios: software-defined radios that, like computers, could be reprogrammed for different missions and could communicate with everything the US military used. Digital signal processing could adaptively use available radio spectrum based on the needs of the moment, turning soldiers, tanks, planes, and ships into nodes of a broadband radio-based network. They had short-range models for talking with the reconstruction team; longer-range versions for reaching headquarters 25 miles away; and a backup satellite radio in case the mountains blocked the transmission. An Air Force controller carried his own radio for talking to jet fighters overhead and a separate radio for downloading streaming video from the aircraft. Some of these radios worked only while the troopers were stationary; others were simply too cumbersome to operate on the move. But the program meant to fix the mess, called the Joint Tactical Radio System (JTRS), instead became a massive 15-year software and hardware development mess of its own, involving five sub-programs and multiple multi-billion dollar contracts. It has been a financial disaster for the DOD. Billions were thrown away on technology that will never see the light of day, despite multiple heroic efforts to pull the project back from the brink of disaster. Read the full article a the above link. 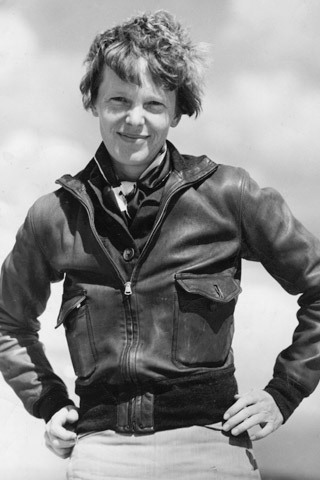 For decades, pioneer aviator Amelia Earhart was said to have “disappeared” over the Pacific on her quest to circle the globe along a 29,000-mile equatorial route. Now, new information gives a clearer picture of what happened 75 years ago to Ms. Earhart and her navigator Fred Noonan, where they came down and how they likely survived – for a while, at least – as castaways on a remote island, catching rainwater and eating fish, shellfish, and turtles to survive. The tale hints at lost opportunities to locate and rescue the pair in the first crucial days after they went down, vital information dismissed as inconsequential or a hoax, the failure to connect important dots regarding physical evidence. The International Group for Historic Aircraft Recovery (TIGHAR), a non-profit foundation promoting aviation archaeology and historic aircraft preservation, reported new details Friday leading researchers to this conclusion: Earhart and Noonan, low on fuel and unable to find their next scheduled stopping point – Howland Island – radioed their position, then landed on a reef at uninhabited Gardner Island, a small coral atoll now known as Nikumaroro Island. Using what fuel remained to turn up the engines to recharge the batteries, they continued to radio distress signals for several days until Earhart’s twin-engine Lockheed Electra aircraft was swept off the reef by rising tides and surf. Using equipment not available in 1937 – digitized information management systems, antenna modeling software, and radio wave propagation analysis programs, TIGHAR concluded that 57 of the 120 signals reported at the time are credible, triangulating Earhart’s position to have been Nikumaroro Island. Click here for more information on the graph. My first QSO on ham radio should be hitting Altair riiiight about............NOW! 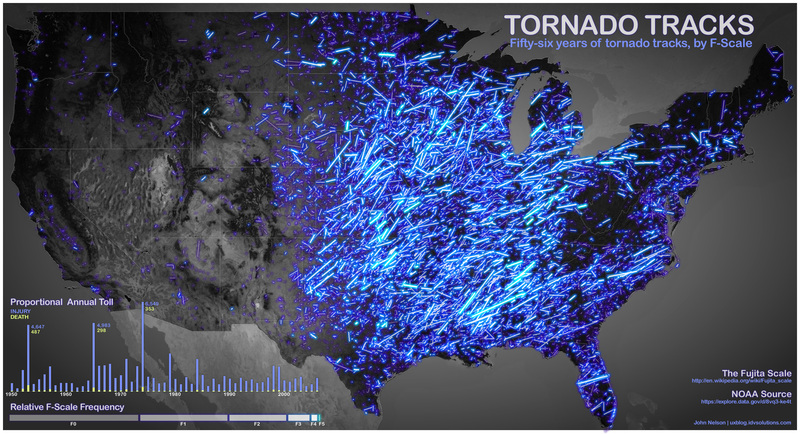 And just think, the first Marconi signals are even farther out than these! I hope everyone had a happy Memorial Day weekend. It's good to take pause and remember that many brave men and women paid the ultimate price for all of us Americans to freely express ourselves and enjoy the lives we live day in and day out. 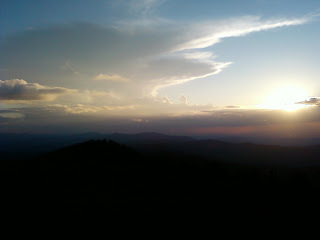 I decided to take the family up into the mountains and watch a sunset from Clingman's Dome in the Great Smoky Mountains National Park Monday. We were supposed to go on Sunday but plans didn't work out (as they never do with me!). When we got I pulled out my trusty Wouxun 2m/220 radio and attempted to make some contacts on 6.52 simplex but, unlike 2 weeks ago when I went up to "the Dome", there was no one willing to talk. 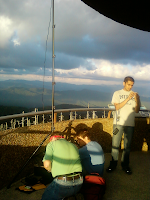 As I trekked up the steep path to the overlook I made a couple of quick QSOs with locals on a repeater, and stowed my radio for use from the observation tower. As we got to the base of the ramp leading up to the tower, I looked up and saw a rotatable dipole jutting out from the side of the dome. I quickly realized someone else on the tower had a ham ticket and was tearing it up on HF! I got to the top and met up with Lynn, KJ4ERJ who was visiting from Florida. 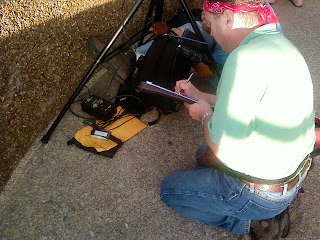 I asked about his operation and he told me he was working "SOTA", or "Summits on the Air". It was the first I've heard of such a program (even though I've been a ham for 18-1/2 years) but sounded very interesting. I was offered a chance to operate but declined. I was having enough fun enjoying listening to the contacts coming in from New Mexico, New York, Florida, Arizona, and New Jersey on his Yaesu FT-817. I tried simplex again and wasn't successful. I made a couple more repeater contacts and stayed long enough to realize that the sunset I had hoped to view was lost to the clouds off to the west. Lynn and his son Paul, KJ4DXK were hammering out contact after contact on the rotatable dipole (set up for 20m meters) and I had to find out more about the antenna. 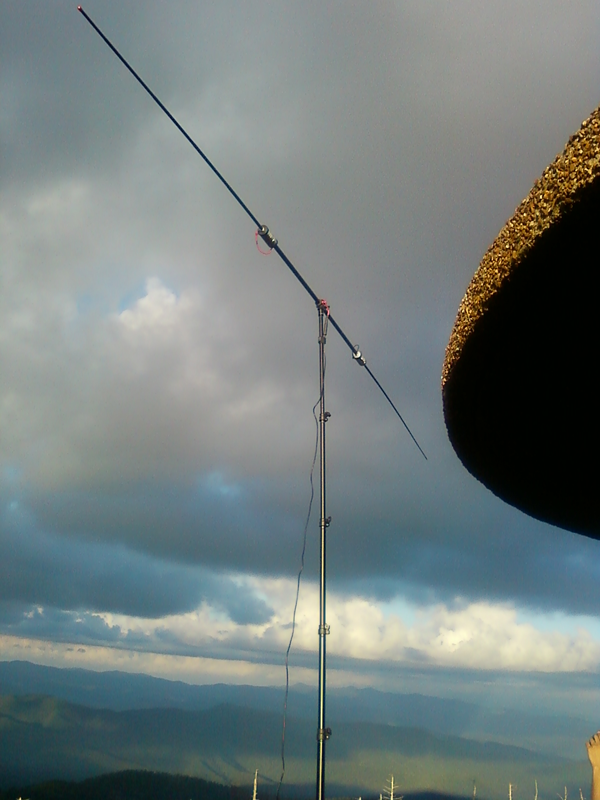 I discovered it was a "buddipole" and watching it in action showed its value, as Paul and Lynn continued to rack up contact after contact on 2.5W, getting 5/9 reports from almost everyone. I tried to drum up a few contacts for them by sending a message to my Twitter account, but I forgot, I'm on TOP OF A MOUNTAIN, and cell phone coverage didn't exist. Unfortunately I couldn't raise anyone on the repeaters in order to spread the word about their operation. Talk about bad timing! Summits on the Air (according to their web site) is "an award scheme for radio amateurs and shortwave listeners that encourages portable operation in mountainous areas. SOTA has been carefully designed to make participation possible for everyone...There are awards for activators (those who ascend to the summits) and chasers." It sounds like something I need to investigate at some point. This may soon become another pet project! 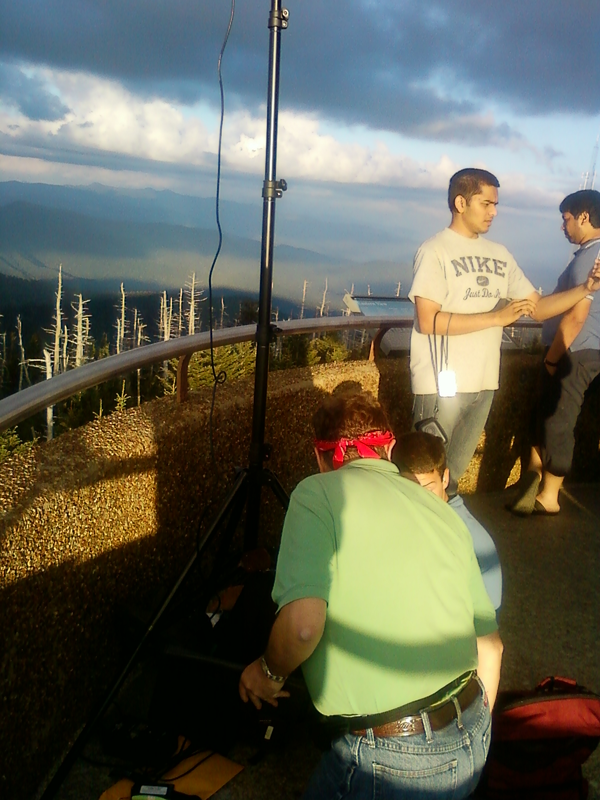 The weather atop Clingman's Dome is some of the most hostile and unpredictable I've ever encountered. 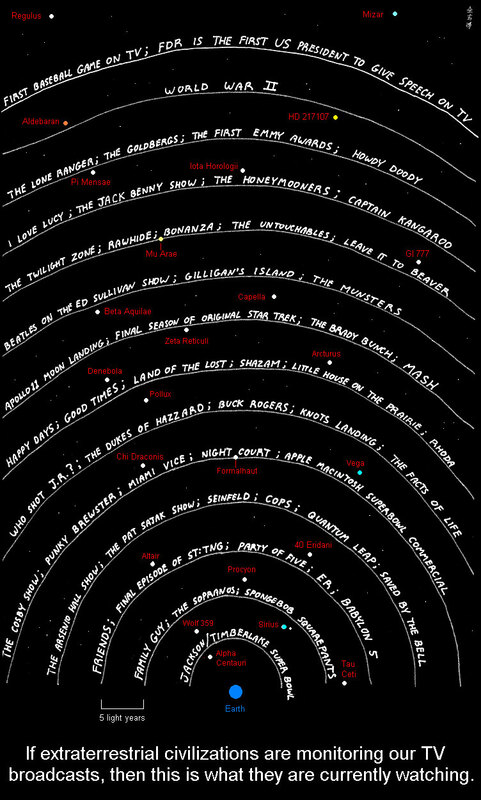 I've been up to the Dome numerous times, typically to stargaze after dark and on occasion to take my ham gear up and work some contacts, though it's typically on VHF. I've been up to watch meteor showers, join an astronomy party, and of course, enjoy the view. But you do need to dress warm for the trip. Memorial Day it was 95 degrees at my house, but when we got to the Dome, it was 60. And as the sun went behind the clouds to the west, the constant wind at the tower added a chill to the air that made us beat a hasty retreat back to the car. One evening my wife and I ventured up to the Dome's parking area to watch a meteor shower, and it was one of the clearest views I've ever had of the stars. Then we go back a week later, and the weather in Knoxville is clear and dry, but high up on the mountain, when we arrived at Newfound Gap, just before getting onto the 7-mile road to the Dome, a thunderstorm brewed up from nowhere and made for a treacherous retreat from the mountain...back to a clear and dry Knoxville. More often than not, it's clear everywhere BUT the Dome, and when I arrive in the parking area, it's nothing but fog. Still, going up to Clingman's Dome is well worth the trip. Whether it's to stargaze, enjoy the view, or work a few radio contacts, it's guaranteed to be an adventure.